If you think you’re having a hard day, consider Snail Bob. After being pushed out of his home, Bob encounters a continuing progression of obstacles, traps and enemies and he makes way to safety. Snail Bob 9 is the latest incarnation of a clever and engaging platform game that’s playable on a desktop computer. It can be played almost entirely using a mouse, which makes it easy for young or older users. Players move Bob through more than a dozen levels that feature attractive graphics and smooth-moving animations. Bob finds bridges and elevators to keep moving. He can retreat into his shell or move faster to escape predators and other hazards. 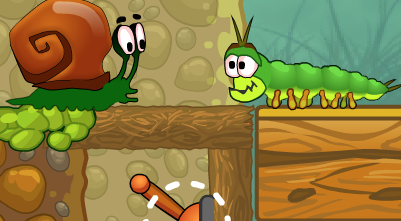 Get the full story and screen shots at the Snail Bob 9 website where the game will be posted when it's released. In the meantime, you can play the earlier Snail Bob games for free.